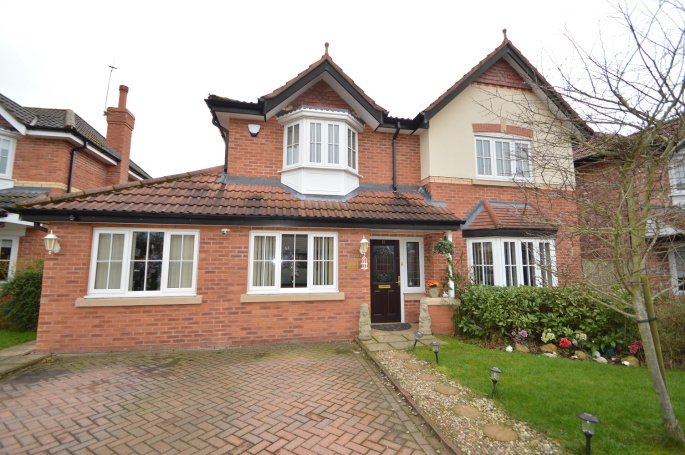 George Adams are proud to present for sale this extremely well presented 4 double bedroom detached house in the popular area of Cheadle Hulme. The house comprises, double garage conversion, a large fully fitted kitchen, large lounge, four double bedrooms (one with en-suite), main bathroom, downstairs WC and large private garden. The house also benefits from gas central heating. The house is situated on a quiet cul-de-sac conveniently located of the A34 with good motorway transport links to the M60 and M56 for Manchester Airport and also Manchester City Centre. UPVC Door and Window to Front Elevation, Laminate flooring, Double Panel Radiator, Ceiling light point, Adequate Point Points, Alarm System & Smoke alarm. Wooden Door, Laminate Flooring, 2x Double Panel Radiators, Ceiling Light Point, 2x Up Lighters, Adequate Power Points and 2x UPVC Window to Front Elevation. Wooden Door, Tile Floor, Washing Machine Point, Double Panel Radiator, Ceiling Light Point, Adequate Power Points, Black melamine worktop, Floor Unit, UPVC Door and Window to Side Elevation, Extractor Duct, Central Heating Timer. Black laminate flooring, single panel radiator, white WC with cistern, white hand wash basin with 2x chrome taps, white splashback tiles, extractor fan, ceiling light point, & UPVC window to front elevation. Wooden Door, Tiled Floor with Underfloor heating, Sockets and Switches, Selection of beech base and wall units with Separate Island, black melamine worktop, Neff electric oven, stainless steel gas hob, stainless steel sink with drainer and chrome mixer tap, Neff brushed steel extractor hood, beige splashback tiles, UPVC double glazed window to rear elevation, adequate power points, Ceiling Light Point & 6x spot light fixtures. 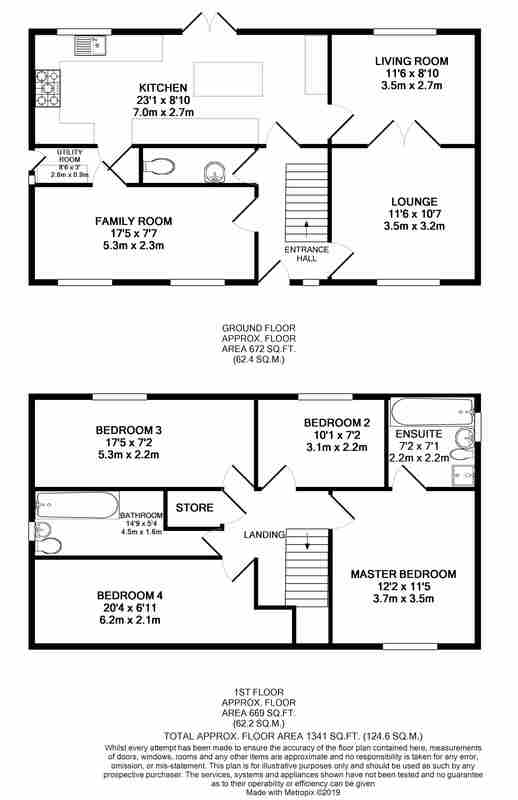 Wooden Door, Laminate Flooring, Ceiling Light Point, UPVC Window to Rear Elevation, Double Panel Radiator, Adequate Power Points, TV point, Double Doors leading to Lounge. Wooden Door, Laminate Floor, Dru Live Flame Fire, UPVC Bay Window to Front Elevation, 2x Double Panel Radiator, Ceiling Light Point, Adequate Power Points & TV and Phone Point. Wooden bannister and balustrade, smoke alarm, ceiling light points, & adequate power points. Wooden Door, Laminate Floor, UPVC Window to Front Elevation, 2x Double Panel Radiator, Adequate Power Points, Phone Point and Fitted Wardrobes. White 3-piece suite comprising: Integrated hand wash basin and chrome taps, WC with integrated cistern, Storage cupboard, shower cubicle with glass door, and thermostatic shower, Heated Towel Rail, Beige splashback tiles, extractor fan, ceiling light point & UPVC double glazed frosted window to side elevation. Wooden Door, Laminate Floor, UPVC double glazed window to rear elevation, Double panel radiator, adequate power points, ceiling light point and Loft Hatch. Wooden Door, Laminate Floor, UPVC double glazed window to rear elevation, Double panel radiator, adequate power points, ceiling light point. Black vinyl flooring, white 3-piece suite comprising: WC, hand wash basin with chrome mixer tap, bath with panel and chrome mixer tap, glass shower screen, thermostatic shower, beige splashback tiles, Heated Towel Rail, ceiling light point, & extractor fan. Wooden Door, Laminate Floor, UPVC double glazed bay window to front elevation, Double panel radiator, adequate power points, ceiling light point & fitted wardrobes. Paved Drive way with space for two cars & grass area. Paving Stone, Grass Area & 6 ft perimeter fencing. 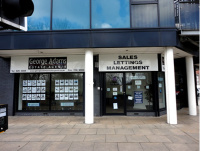 "I have dealt with George Adams for a number of years and can say they offer an excellent quality service, a lot better than previous Agents we have used."